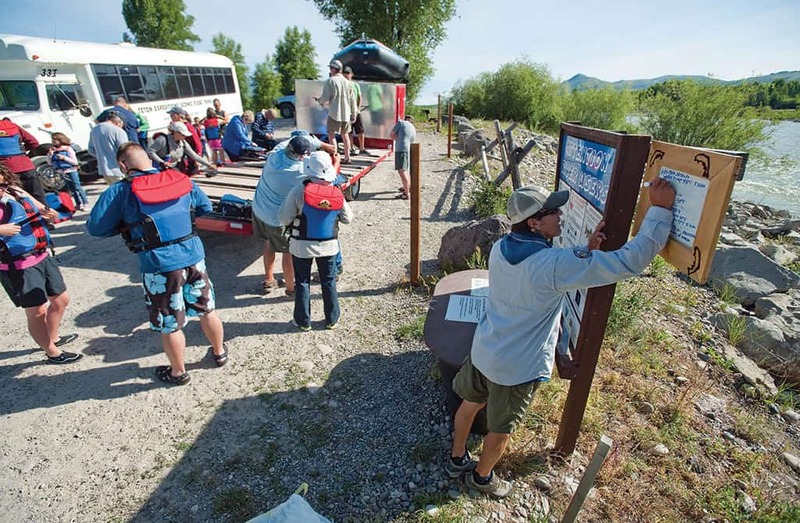 This summer, a previously unregulated, popular stretch of the Snake River is coming under Teton County’s purview, and most everyone agrees it’s needed. ON A SUNNY summer morning, Jay Pistono was standing on the bank of the Snake River. At the boat ramp on what’s called parcel 13, at the Highway 22 bridge over the Snake River, things were going smoothly, with no need for Pistono’s gentle herding. That’s been the norm during his six years as the Snake River Fund’s river ambassador, moving things along, answering questions, checking registration and inspection stickers, and counting boats and people. But as Pistono talked to a Lewis & Clark Expeditions guide who was unloading a couple of rafts, he saw something he tries to prevent. People had parked a big trailer and blocked the riverbank. They slowly inflated five rafts with hand pumps. They made a big pile of life vests. There are crazy days because it’s a beautiful run, popular with locals who float and fish it for their own pleasure and with those in the business of taking tourists on the water. A study completed by Confluence Research and Consulting in February 2014 estimated private boats from Wilson to South Park at 50 a day in 2013, sometimes 70. Commercial use is about 30 guided fishing trips daily and 70 scenic floats. Every day, 150 boats. Use has increased over the years, enough that some think it’s already too high, and most agree the increase can’t go on without some management. THE TWENTY RIVER miles between where the Snake River leaves Grand Teton National Park at its southern end and Astoria in the Snake River Canyon is the last piece of the river that isn’t regulated in the valley. In GTNP, regulation is by the National Park Service; past Astoria, it’s by the U.S. Forest Service. In the unregulated twenty-mile stretch there are eighteen scattered parcels managed by the Bureau of Land Management totaling about one thousand acres. Much of this is hidden and cut off from the public by private land and twenty-four miles of flood-control levee. It’s sand and rock, flooded each spring as snow in the high country melts. “A lot of the parcels are open space, they’re habitat, that’s their highest value,” Reimers says. Studies find elk, deer and moose, bald eagles, osprey, hawks, pelicans and herons, mink, and beaver live in these areas. But some of the ragged bits are valuable to more than wild animals. Parcel 13’s eleven acres, where Pistono often works, has the busiest boat put-in in Teton County north of the canyon. Across the river is a favorite place for locals to walk the levee. Thirteen miles downstream, at the South Park Bridge, the twenty-three acres of parcel 26 is the other end of the boat-go-round that starts at parcel 13. The parcels, administered by the Bureau of Land Management, face a big change that affects river users. With the BLM office eighty miles away in Pinedale, in the 1990s the agency began thinking about how it could unburden itself of these far-flung properties. One idea was a public auction. Locals immediately feared losing access to the river, and the idea was “met with pretty strong public opposition,” says Aaron Pruzan, a founding board member of the Snake River Fund, board member of American Rivers, a competitive kayaker, and the owner of Rendezvous River Sports in Jackson. The Snake River Fund stepped up, though the seventeen-year-old group, formed to lobby for river protection, didn’t want to take on management itself and sees its current oversight duties at parcel 13 as temporary. 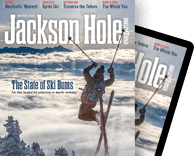 Many meetings and lots of study ended with the thought that the Teton County/Jackson Parks & Recreation Department would do the job, and that transition is now underway. 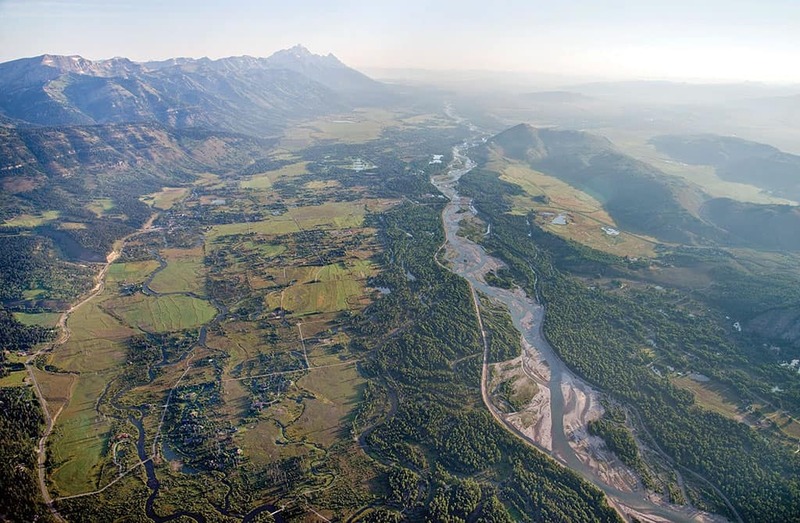 Teton County takes on management of the river between Grand Teton National Park and Astoria this year, initially under a right-of-way agreement, but eventually with the idea that ownership will pass to the county. There have been similar transfers of federal land to local jurisdictions, but the idea of a county taking on management of a river is a bit more unusual. STEVE ASHWORTH, THE Parks and Rec director, thinks his people are the natural choice, with help from the Snake River Fund. Though it’s unlikely private users will face limits, Ashworth agrees that the days of unregulated commercial use on this section of the Snake are gone, at least if the community wants to prevent growth without limit. He doesn’t think the changes will be drastic or onerous. The 2014 Confluence study lays out choices. One is to keep river use at the 150 boats a day now seen. Another option is allowing up to 250 boats a day. Reimers, speaking for the Snake River Fund, thinks a bit less use than what’s on the river now would be best, at least to start. “If there’s room for more after trying the ‘stabilize, low’ option, river use can be grown,” she says. THE SNAKE RIVER flowed for a few million years without the help of a nonprofit foundation. But that doesn’t mean it couldn’t use some support. That started seventeen years ago with the creation of the Snake River Fund, which is dedicated to the river, its environment, and its use. The group now handles many programs, but it began with a single focus: access. An anonymous donor gave $50,000 to begin the Snake River Fund and challenged the community to come up with more. It’s still funded by private donations, with a budget of about $300,000 a year. The group, originally with no employees, now has a staff of three and a half, as well as a thirteen-member board. 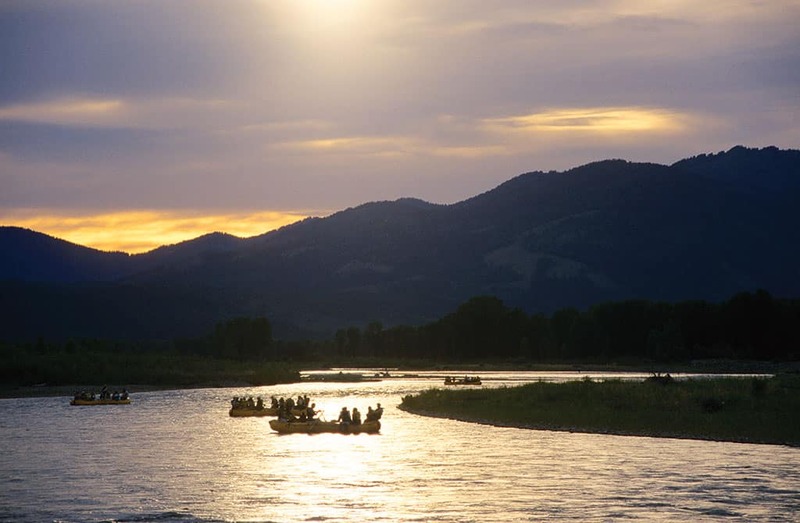 When the Bureau of Land Management began talking in the 1990s about selling important access parcels it manages along the river, the Snake River Fund spurred negotiations to transfer the land to Teton County, a process that is still underway. The fund also got into river issues beyond access and the BLM parcels. It began the river ambassador program, led public efforts in planning for parks at the Wilson and Snake River bridges, and raised money for renovating boat ramps in the Snake River Canyon. It runs education programs, such as Summit On The Snake, and works to protect local rivers from invasive plants and animals. The fund also is involved in restoration projects on Flat Creek—which runs through Jackson before finding its way to the Snake—and Spread Creek, important wildlife habitat at the north end of Jackson Hole. It serves as an intermediary among private groups and government agencies in dealing with waterways, and has given outfitters, who have no separate professional organization, a way to speak on river issues. Reimers is pleased with the organization’s accomplishments and optimistic about what’s to come. “We have nice synergy right now; it’s been a positive couple of years for us,” she says. “I think we’ll continue on this trajectory—there’s no shortage of work to be done.” For more on the Snake River Fund, go to snakeriverfund.org.